Oshawa Criminal Charge? Let Brian Scott Help You! If you've been charged with any crime, or are under criminal investigation, in or around Oshawa, Brian Scott isthe defence lawyers you need to speak with. Avoiding a criminal conviction and record should be your number one priority. Being convicted can have severe repercussions, including financial strain, incarceration and lifelong embarrassment. A criminal record can curtail international travel, eliminate job prospects, and cause hardship for you and your family. With so much at stake, you want to be working with an expert in the Criminal Justice field, like John Olver or Brian Scott. Brian Scott is a respected Criminal Defense Lawyers in Oshawa and is committed to winning for you. He understands the repercussions you could be facing and want to protect you, your family and your future. Over 50 years combined experience with the Ontario legal system gives him an upper-hand with analyzing, negotiating and preparing your case with a goal of winning your case at trial. Trust the expertise of Brian Scott to find the best defense available to you and to ensure that you are well informed of all your options so that you feel like you have control of the situation. He is a knowledgeable and aggressive criminal attorney who has successfully defended numerous clients just like you. Call now to receive your initial consultation. 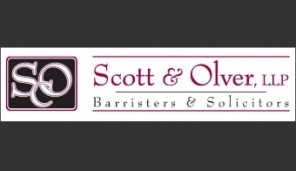 Let Mr. Scott review your case and discuss the basics of your situation. He will give you an honest and straightforward evaluation, so that you can determine the best course of action. Put your mind at ease. Call Brian Scott now and receive the best representation possible.